‘Biological diversity or biodiversity' means the variability among living organisms from all sources including, inter alia, terrestrial, marine and other aquatic ecosystems and the ecological complexes of which they are a part; this includes diversity within species, between species and of ecosystems. 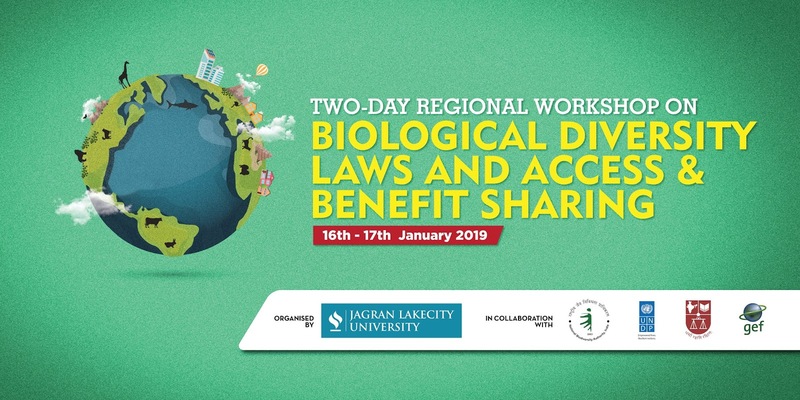 Jagran Lakecity University organized a two-day Regional Workshop on “Biodiversity Law and ABS” on 16th & 17th January 2019 under the UNDP-GEF (Global ABS Project) on “Strengthening Human Resources, Legal Frameworks and Institutional Capacities to Implement the Nagoya Protocol”. This was done in collaboration with United Nations Development Program (UNDP), National Biodiversity Authority (NBA) and National Law School of India University (NLSIU), Bengaluru. Leading experts, practitioners, policymakers, researchers and academicians from across India attended the workshop, deliberated & discussed their expertise and experiences on aspects such as; Biodiversity Issues, Sustainable Development and Access & Benefit Sharing (ABS). Prof.(Dr.) V.Vijayakumar, Hon’ble Vice Chancellor, NLIU, Bhopal was the Chief Guest while R.Sreenivasa Murthy, IFS, APCCF & Member Secretary, MPSBB was the Guest of Honour in the inaugural session. Prof.(Dr.) Sairam Bhat, Professor & Coordinator, CEERA, NLSIU, Bengaluru delivered the keynote address. Valedictory session was graced by Shri.P.C.Sharma, Hon’ble Minister, Madhya Pradesh and Dr.Pankaj Shrivastava, Director, IIFM, Bhopal. The first day of the workshop was dedicated to the key topics of Biodiversity Conservation, Biological Act, 2002 and Madhya Pradesh State Biodiversity Rules. The second part of the workshop was dedicated to Access and Benefit-sharing and various case laws related to ABS followed by discussion and exchange of ideas on the role of the Biodiversity Act and its provision. Participants were unanimously suggesting some key points related to the BD Act and implementation of ABS. During the discussion of ABS provision and its implementation, participants acknowledged and appreciate the role of UNDP and the NBA’s effort in creating awareness and sensitize the stakeholder to better execution of the Biological Diversity Act and ABS provision. Achieving financial sustainability in biodiversity conservation was also discussed in the workshop. There was a consensus about the strengthening of Biodiversity Management Committees and its role in the conservation of Biodiversity. · Provision for monitoring and tracking of illegal access of biological resources may be included in the Biological Diversity Act, 2002. · It is suggested that the term ‘Prior Informed Consent’ (PIC) and ‘Mutually Agreed Terms’ (MAT) be defined in the Biological Diversity Act, 2002. · It is suggested that effective disclosure norms regarding the purpose, method and the resource accessed be made a requirement at the time of application and mentioned in the provisions of the Biological Diversity Act, 2002. · Provisions regarding bio-safety measures (bio-safety clearance, risk assessment for biohazard in consonance with Cartagena Protocol) by applicants for access be included in the Biological Diversity Act, 2002. Coordination between the Genetic Engineering Appraisal Committee (GEAC) and the Nation Biodiversity Authority may be established in this regard. 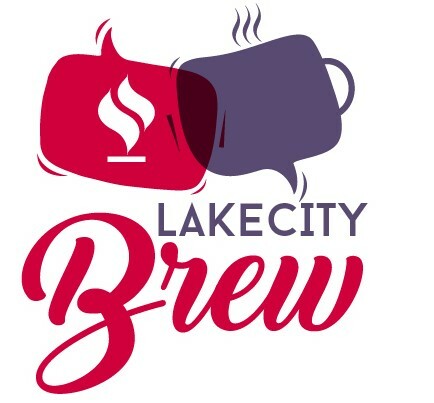 · It is suggested that a provision regarding opportunity being given to the applicant to be heard before the rejection of an application to be included. This should be done taking into account the interest of the researcher and research institutions. The authority can raise objections to the application of access and communicate the same to the applicant upon which the applicant can respond to the objections within a period of one month from the date of receipt of the communication. In case the objection to the application still persists, an opportunity of a hearing may be given to the applicant. · It is suggested that the criteria for identifying the benefit claimers of the process of benefit sharing be clarified under the Act. A Social Impact Assessment may be conducted in this regard to ascertain the same. · It is also suggested that the channel of sharing of benefits from the NBA/SBBs to the BMCs and from the BMCs to the benefit claimer be enunciated clearly under the Act for monitoring and compliance purposes. · It is suggested that under Section 4, 6 and 7 of the Biological Diversity Act, 2002, ‘Traditional Knowledge/Associated Knowledge’ be incorporated. · It is suggested that the status of ‘by-products’ and ‘value-added products’ in relation to Normally Traded Commodities be clarified. The term ‘by-product’ may be defined distinctly. · It is suggested that a provision for the establishment of Biodiversity Enforcement Cell (like in the case of Madhya Pradesh State Biodiversity Board, Rule u/d G. O.2017/34) with powers of search, inspection and seizure in instances of illegal access of biological resources be included for effective implementation of conservation measures under the legislation. Finally, participants stressed the importance of such workshops and UNDP and NBA’s continued support to research institutions in developing legal framework and capacity building. The workshop culminated with the signing of Bhopal Declaration for Biodiversity, which aims to pave the path for future workshops. The faculty and students of Jagran School of Journalism and Communication & JLU School of Law collaborated to make this one of the most successful workshop in the current academic year.